Village Manager David Fieldman announced today the appointment of Shanon Gillette as the new Chief of Police for the Village of Downers Grove. Gillette has 24 years of law enforcement experience with the Village and has served as Deputy Chief since 2015. Throughout his career, Chief Gillette has held a variety of positions, assuming increased responsibilities and progressive management experience with every facet of the police department. He has served as a Community-Oriented Policing Officer, Field Training Officer, Detective, Patrol Sergeant, Administrative Sergeant, Lieutenant of Operations, Lieutenant of Investigations, Deputy Emergency Management Coordinator, and most recently as Deputy Chief of Administration. In 2016, Chief Gillette graduated from the FBI National Academy at Quantico, VA, where he received advanced leadership training for law enforcement executives. As a graduate of Northwestern University's School of Police Staff and Command, he was honored with the Center for Public Safety's Franklin M. Kreml Leadership award. He also holds a Master of Science in Public Safety Administration from Lewis University and a Bachelor of Arts in Management from Benedictine University. "Shanon's educational achievements in law enforcement and practical experience as a police officer make him perfectly suited to lead the members of our top-ranked, professional police department," Village Manager Fieldman said. 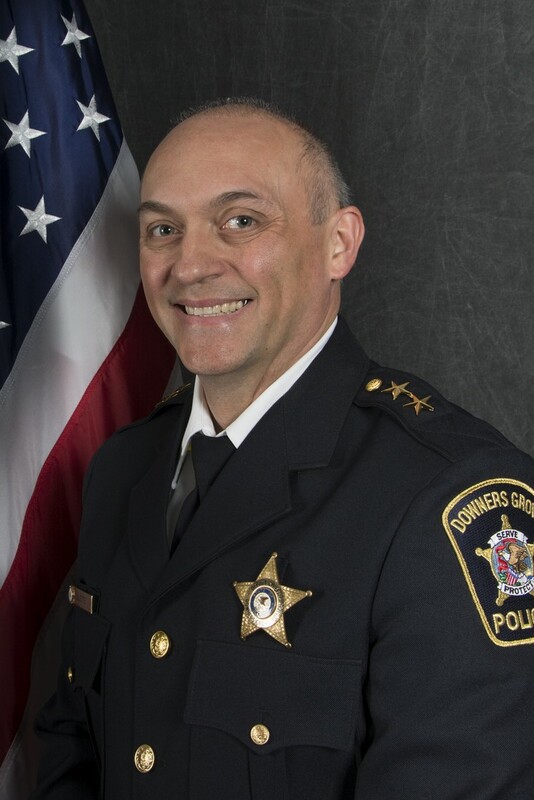 "I am humbled and excited for the opportunity to serve as Chief of Police for the Village of Downers Grove," said Chief Gillette. "I look forward to working alongside our dedicated staff to ensure the Downers Grove Police Department remains an exceptional law enforcement organization." The appointment of Chief Gillette is effective January 6, 2018.